DMK today indicated there was nothing new in the issues raised by Tamil Nadu Chief Minister J Jayalalithaa when she met Prime Minister Narendra Modi in Delhi, saying her dossier of demands was just “old wine in new bottle.” Party President M Karunanidhi said Jayalalithaa had presented a similar list of demands to Modi in the national capital after he took over in 2014, and during their meeting here last year as well. The demands included constituting the Cauvery Management Board, stopping Karnataka from constructing a dam across river Cauvery at Mekedatu and funds for state projects including the power sector, he said in a statement here. “We can easily understand that these demands have not been fulfilled, from the fact that they are being repeatedly taken up (with Modi),” he said. The DMK chief said that after demands are made with the Centre, “political and administrative pressure” has to be exerted to ensure they are fulfilled, as state Ministers have to call on their Union cabinet counterparts and officials. 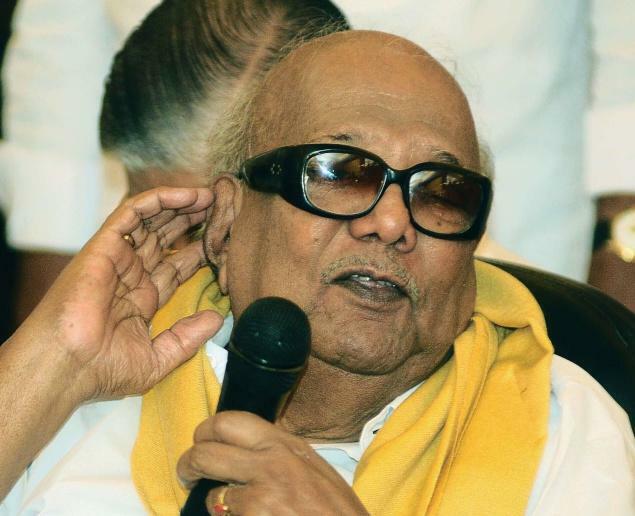 “That the Chief Minister has put forth the same pleas made two years back, one is reminded of the saying – old wine in a new bottle,” Karunanidhi said. Jayalalithaa had called on Modi yesterday and presented various demands meant for the state’s welfare.